Poly Bulls Eye Bags include a 1/4 inch reinforced hang hole. These bags are often used on displays when retail stores need to hang heavy items. The reinforced hang holes ensure the hole does not rip when product is in the bag. Bulls Eye Bags are available in any color, size and thickness. 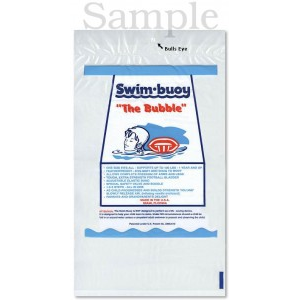 Logo information is often printed on both sides of the bag to help promote branding.